A few months ago, Dustin and I came up with the perfect plan: Let’s go on vacation, and then instantly return and tear apart our entire kitchen. Easy peasy! Well, that plan went into full force on Monday. The plan seemed perfect and “easy peasy” when it was just a discussion around the dinning room table. Our suitcases are currently piled high on our bedroom floor with clothes spilling out. And if I’m totally honest, defining which clothes are clean and dirty is a bit of an iffy process right now. Along with a ton of housework that needs tending, my entire kitchen has been demolished. Life’s been a bit messy. I’ll fill you in on the kitchen demo next week, okay? Via video? Perfect! –> Find the video post, here. When life gets busy and messy it’s easy to fall into a “I’m just going to skip making lunch/dinner and run to the store” mentality. As you know, daily store-running behavior quickly adds up, and adding up is not something we need during a kitchen remodel. 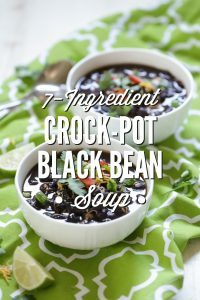 In the midst of laundry piles and drywall covering half our home, I’m trying my best to stay prepared on the food side of life with simple and easy meals, such as: crock-pot black beans, real food style nachos, grilled meats and veggies, and chicken salad. We’ve talked about black beans (you know I love them!) and we’re going to crunch into some nachos soon (was that too cheesy? ), so let’s talk chicken salad. 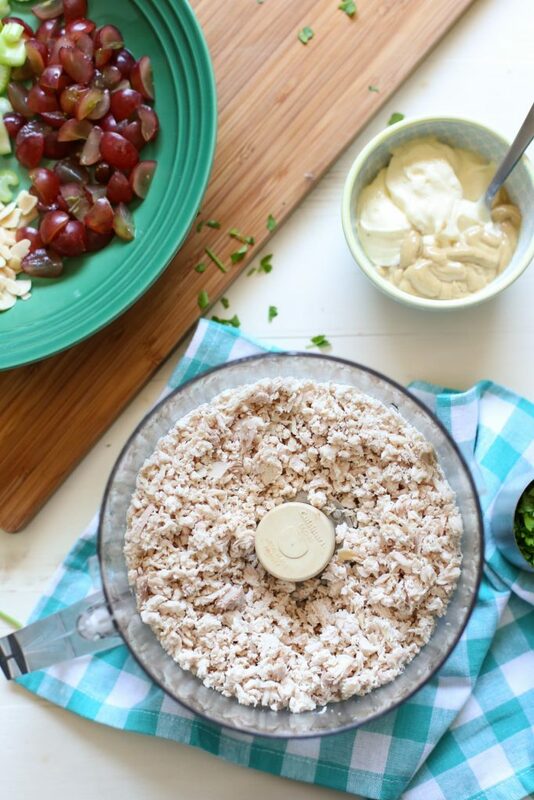 Making homemade chicken salad is super easy. 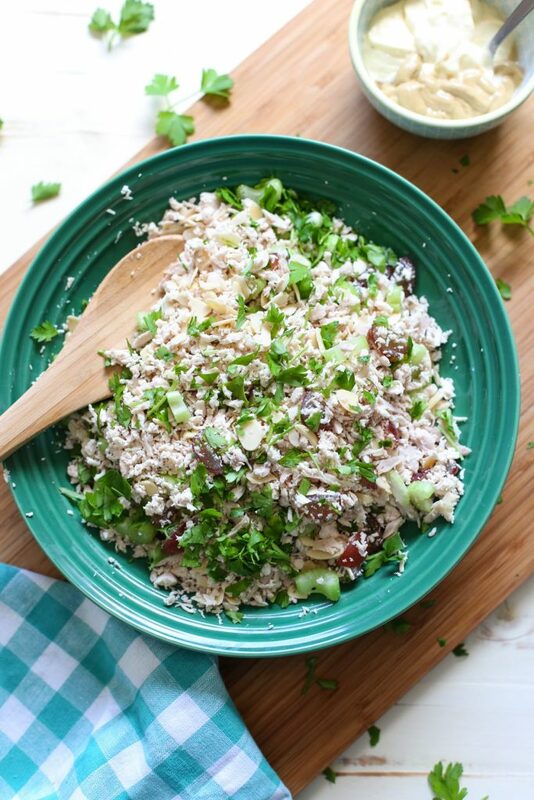 My recipe starts with shredded chicken that’s chopped in the food processor to mimic a deli-style chicken salad texture. Grapes, almonds, parsley, celery, mayo and mustard are added for crunch and extra fresh flavor. 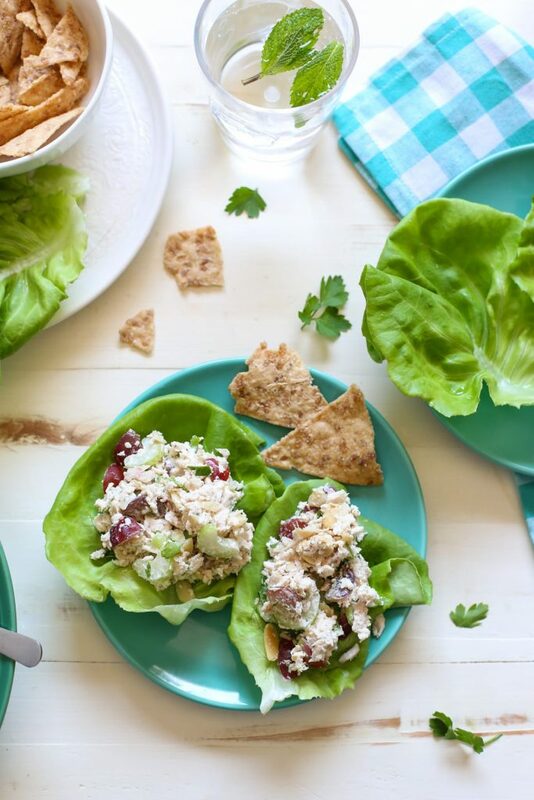 I usually make chicken salad during my prep time on Sunday so we can enjoy this classic salad all week on lettuce leaves and rice chips, or sandwiched between sourdough bread. And now, my friend, I’m going to excuse myself– the best chicken salad ever, drywall, and a questionable pile of clothes await. 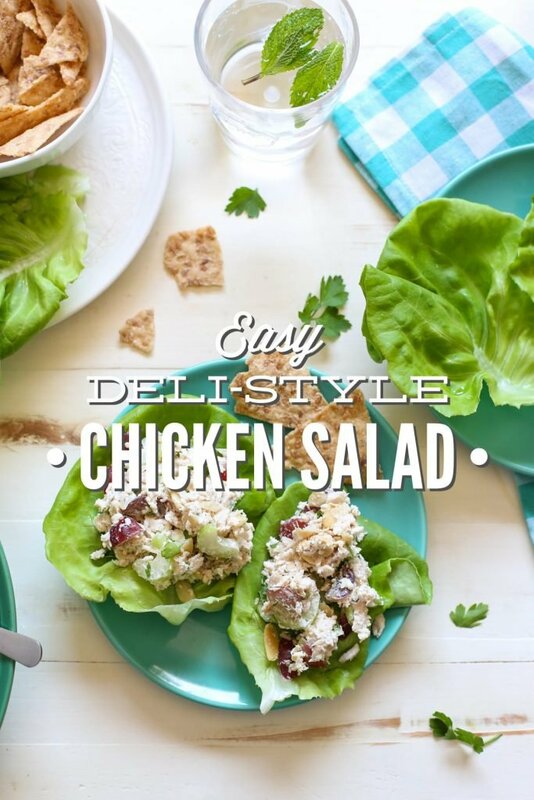 Making homemade chicken salad is super easy. My recipe starts with shredded chicken that’s chopped in the food processor to mimic a deli-style chicken salad texture. Place the shredded chicken in the bowl of a food processor. Pulse the chicken for 10 seconds, until the chicken is chopped into small pieces. Do not puree the chicken! 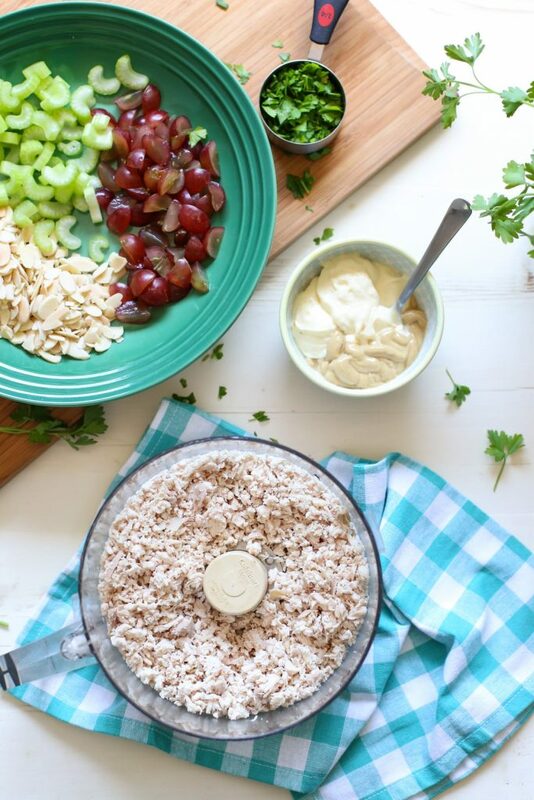 In a large bowl, combine the chopped chicken, almonds, red grapes, celery, and parsley. Add the mayonnaise and mustard until you reach your desired consistency. Add salt and pepper to taste. Store the chicken salad in the fridge. 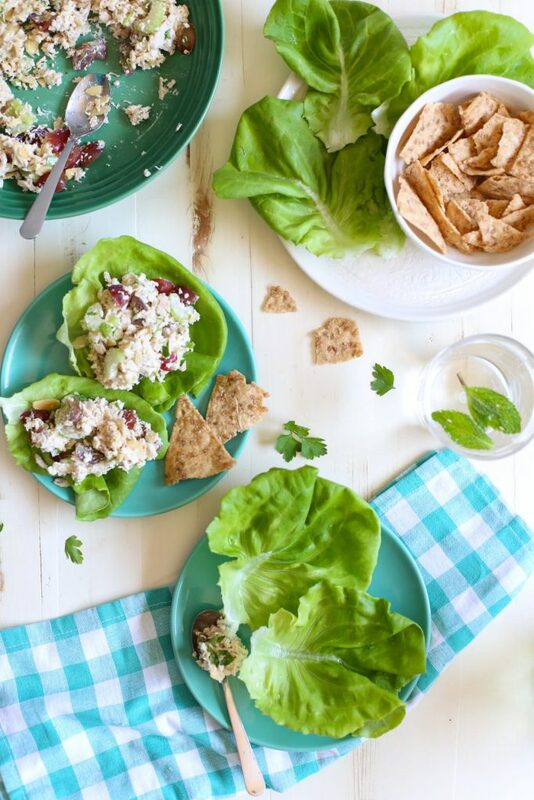 Serve on lettuce (for lettuce wraps), bread, or crackers. 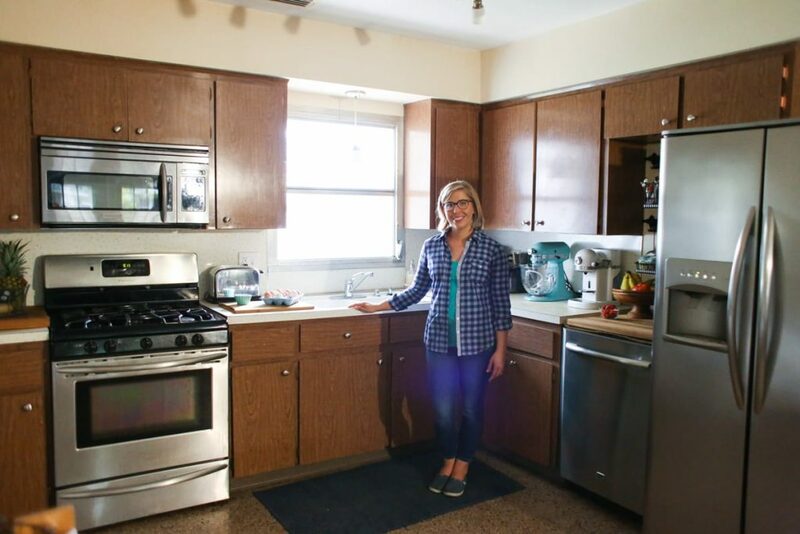 Find my favorite kitchen essentials, here. *more or less mayonnaise and mustard may be needed. 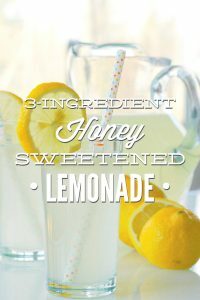 Start by adding one tablespoon of each ingredient, adding more as needed to reach the consistency desired. If you don’t mind the combo of garlic and grapes (some people are grossed out by this idea), adding 1/2-1 teaspoon of garlic powder is a delicious extra flavor boost. Thank you for this recipe! I’m excited to try it. 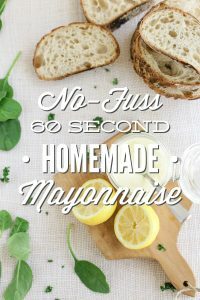 What is a good store brand mayo you recommend? Hey Heather, I really like Sir Kensingtons, Primal Kitchen, or Spectrum (not as “clean” as the other two, but still decent compared to many brands). Enjoy!! 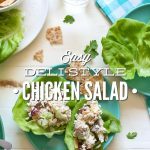 Your chicken salad is very similar to mine (I use more celery and 1 or 2 T minced onion), but a friend gave me a tip that may make it even healthier: drizzle EVOO over the chicken before adding the other ingredients–you’ll use less mayo. I make my own mayo with avocado oil and olive oil, but I use a blended oil rather than EVOO, which has more flavor than we like in mayo, so I appreciate being able to use less. Great tip, MJCTexas. Thank you for sharing.